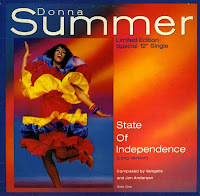 Composed by Vangelis and Jon Anderson and produced by Quicy Jones, 'State of independence', released in 1982 was a glorious piece of pop music. 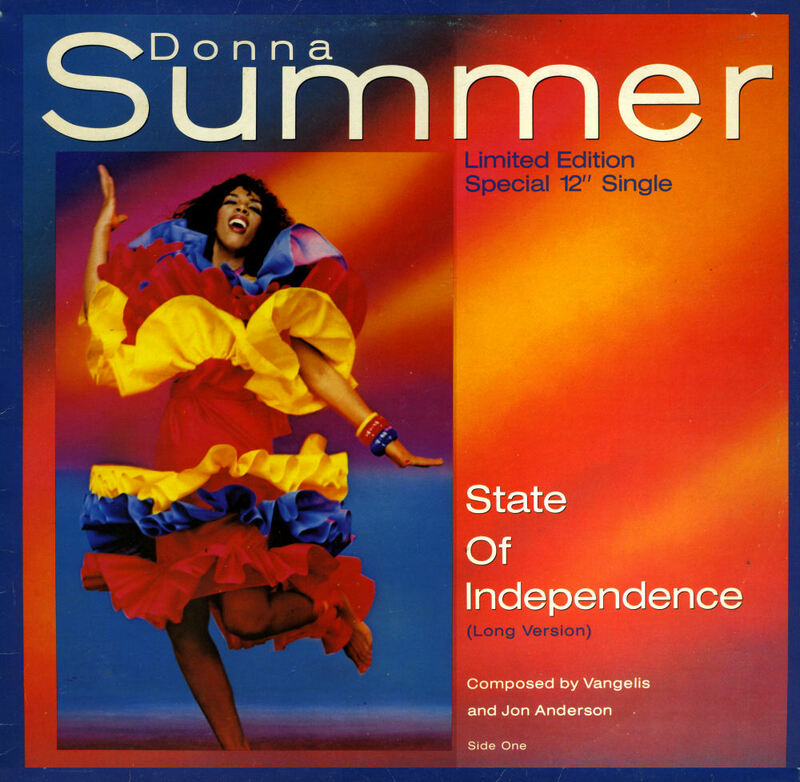 Layered with synthesizers and not too far removed from the aforementioned duo's own version, it was a massive hit for Donna Summer that year. This limited edition 12" single features both the single edit and the full length track. Alas, no remixes. But the track was eventually remixed in 1996 - and that was a bit of a mixed blessing to say the least. This is definitely an underappreciated song. Great song, great blog, I love a good vinyl find! Check my blog to see what I've been digging up!